Limix is a unique Shikkui-based building material that is formed under extremely high pressure to achieve properties similar to marble. Due to its non-baking manufacturing technology, all of its natural components are preserved in the original, though compressed form. This production process also allows for various customized effects, colors and textures. 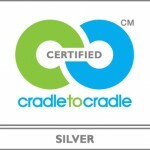 Tagawa Sangyo Co. is a C2C silver certified company. Tariki Limited LLC was the catalyzing force to encourage Tagawa Sangyo Co. to go through the C2C certification process. Tagawa Sangyo Co. is committed to manufacturing with biological and technical nutrient streams. Doing more good rather than less bad. Tagawa Sangyo Co. is currently working towards gold certification.